Photo credit: Chase Lanier. 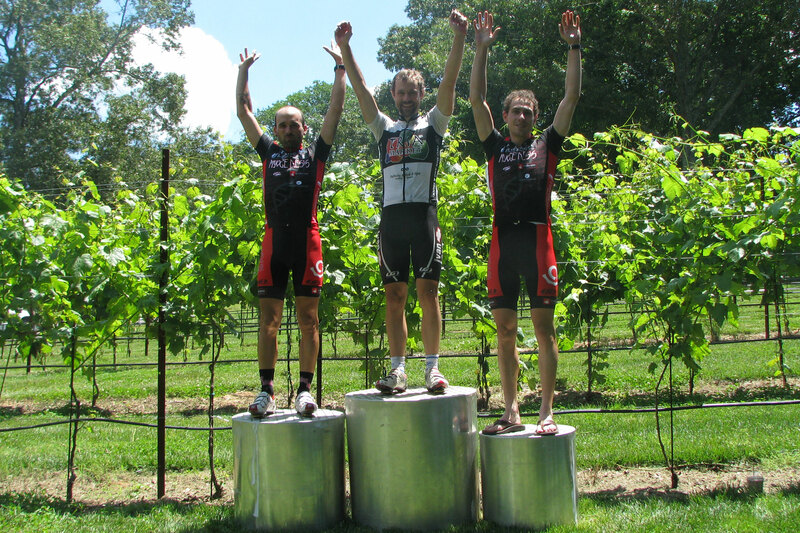 A big thanks goes out to Chase Lanier for snagging this picture of me winning the Dahlonega Omnium road race! Eric Murphy and Adam Ray who finished 2nd and 3rd were still below the crest of the hill from the angle where Chase took this picture. 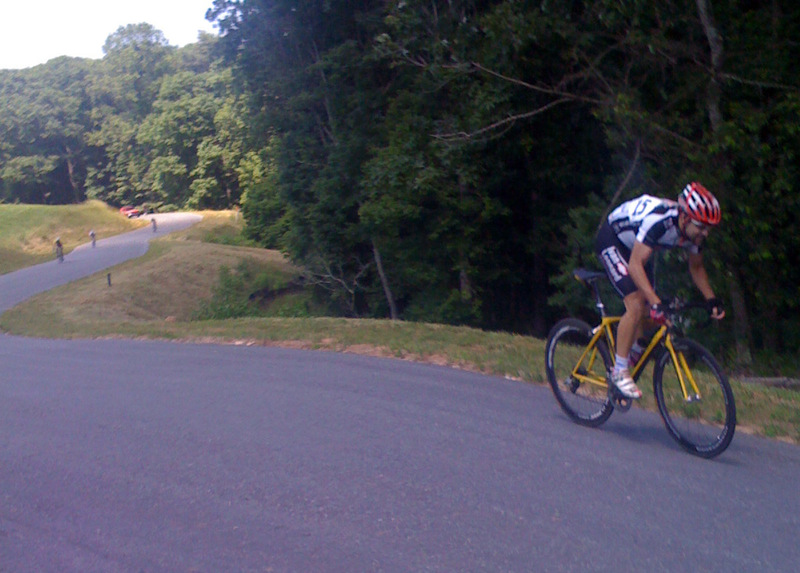 May 31, 2009 – 200 meters to left to go in the climb! Photo credit: Kristine Toone. My wife took this picture about 200 meters before the finish – it gives you a good idea of how steep the hill was! I believe 2nd, 3rd, and 4th place are just off the lefthand frame of the picture not visible. Fifth, sixth, seventh, and eighth place are all visible with eighth being just in front or beside the red support truck. This entry was posted in Racing on June 1, 2009 by kartoone.